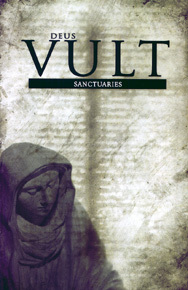 Sanctuaries is a supplement that outlines four of the Order’s outposts to which guardian priests might travel in pursuit of a mission – or fall back to in times of need. Each is unique, offering the chance to encounter new supernatural threats and explore an unfamiliar region and culture. All four sections are packed with information that Games Masters and players alike can use to enrich their Deus Vult campaign. This includes new creatures, equipment and Preternatural Gifts, information on the local history, inhabitants and culture, and two complete adventures that explore the unique mythology of the local region.